Goal: I'd like to use n-dimensional geometry as a method for effectively travelling/sending information with FTL speeds without technically violating the lightspeed limit in 4D Spacetime. How would perceived distances change in higher dimensional spaces? Can you reduce the perceived distances by using a dimensional transformation between our 3D-Space/4D Spacetime to higher dimensional space and back? If not, is there another (mathematically) feasible solution that would reduce the distances using some kind of transformation? How would the dimensionality of the hyperspace affect the ability to shrink distances in normal space when shifting dimensions? I prefer solutions that allow for a more or less physically different "hyperspace". It is explicitly encouraged to provide the Maths for me to understand the principles, or to provide geometrical explanations. ONLY IF you manage to find the proper 4D distance to a parallel space to your own, where distances are naturally physically shorter. This necessitates your 4D axis being a bit warped, as otherwise you save no travel distance between the two 3D spaces. 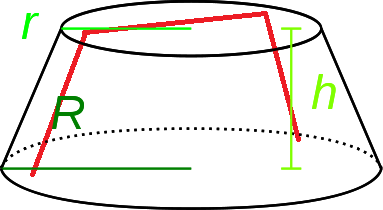 As an example, imagine traveling away from a 2D plane to a compressed mirror of the same. 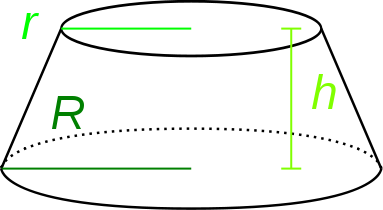 If you move exactly perpendicular to the plane, the distance you travel on the higher plane is exactly the same as if you had stayed on the lower. However, if your line is instead somewhat askew to allow you to meet a matching point on the higher plane, you can possibly save some travel distance by doing the bulk of your movement on said higher 2D plane, and gaining the difference between your two steps along the warped 4th axis. Not the answer you're looking for? Browse other questions tagged science-based science-fiction space-travel mathematics or ask your own question. What distinction could there be between space torpedoes and space missiles? Can time dilation happen in a higher dimensional space or inside a wormhole?